Nearly 5 million Americans are treated for skin cancer each year. The deadliest form of skin cancer is melanoma, which is now the fifth most common cancer in the United States, with an estimated 87,110 cases diagnosed in 2017, according to the National Cancer Institute’s Surveillance, Epidemiology, and End Results Program. Melanoma can often be cured if it’s caught early. However, the disease has a high rate of recurrence, so survivors should take great care to protect themselves from further sun exposure, said Rachel Isaksson Vogel, PhD, an assistant professor in the Department of Obstetrics, Gynecology and Women’s Health at the University of Minnesota. “Survivors of melanoma have a nearly nine-fold risk of developing melanoma again, and they can reduce that risk if they make sun protection a priority,” said Vogel, who was lead author of a paper published earlier this year in Cancer Epidemiology, Biomarkers & Prevention, a journal of the American Association for Cancer Research. Vogel’s study revealed some surprisingly risky behavior on the part of melanoma survivors. Most notably, 20 percent of melanoma survivors said they had gotten a sunburn in the past year. 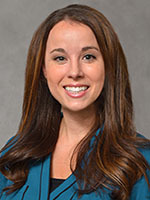 In the study, Vogel and colleagues compared sun exposure and protection behaviors in long-term melanoma survivors with those who had never had the disease, asking participants about the amount of time they had spent outdoors in the summer, and about sun protection methods such as wearing sunscreen, staying in the shade, wearing hats, and intentionally tanning. Participants were also asked to report the number of red or painful sunburns they had experienced in the past year, and whether they had used a tanning bed or booth in the past year. Vogel said that in conversations with individuals diagnosed with melanoma, many survivors expressed a desire to “just live their lives,” playing with their children, exercising, and socializing outdoors. She said that in most cases, the participants had been diagnosed with stage 1 disease, when melanoma is often easily treated and has a five-year survival rate of 98 percent. The survival rate, however, drops to 20 percent for advanced disease. “Because an early-stage melanoma diagnosis and treatment was likely a fairly minor experience for most survivors, they might not understand how serious an illness this is,” Vogel said. So, as summer draws closer and the temperature rises, remember that limiting sun exposure is a crucial strategy for protecting your health. On Don’t Fry Day and beyond, cover your skin, avoid the sun during peak UV hours (generally 10 a.m. to 2 p.m.), and use sunblock with a sun protection factor of at least 30. Further resources are available from the National Council on Skin Cancer Prevention.